We are a small family-owned berry patch offering delicious blueberries, raspberries (red, black & gold) plus blackberries and gooseberries. Our berries are always handpicked to ensure the best quality. 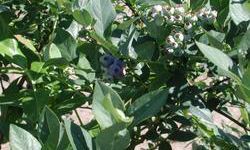 Grandma's Berry Patch offers both ready-picked and U-pick berries.